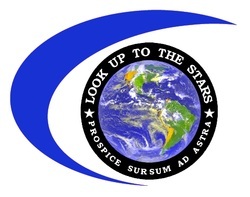 Fundraisers - Look Up to the Stars! School Fundraiser - The Sky is the Limit! Join forces with us to raise the funds necessary for the quality education of your students, whether it be for sports uniforms, field trips or entire computer labs. We provide a fun-filled evening open to all ages in the community, offering a dynamic astronomy program entitled, “Astronomy for Everyone: Size & Scale of the Universe.” The program is highly interactive and educational, including the opportunity (weather permitting) to view the night sky through a powerful hand-crafted telescope. Viewers will have the opportunity to behold the rings of Saturn, the craters on the moon and other celestial objects. It’s a really fun way to stimulate interest and literacy in science while raising funds for your special projects. Book your fundraiser today! 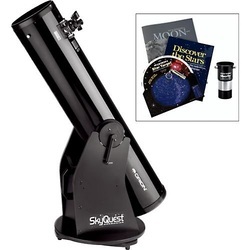 Sell raffle tickets to win a new 8-inch reflecting telescope! Proceeds from the raffle tickets go to help your school. Whoever has the winning ticket at our fundraiser event will go home with a brand new telescope! Another way to raise funds is to sell tee shirts with your school's logo and the astronomy event during the fundraiser.